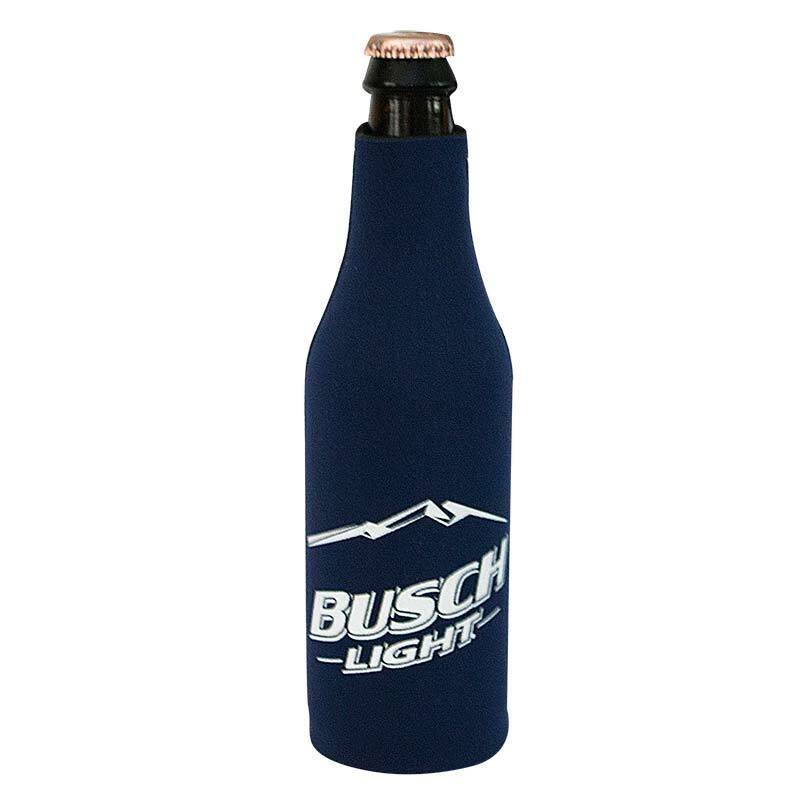 Busch Light logo bottle cooler. Insulates 12-ounce bottles and made from neoprene that is stretchable, washable, and won't stick to the bottle. Officially licensed.